How did you get the wheels' Tesla logo to line-up for the photo? Limited voice commands. If buttons are removed, I need a safe and efficient way to change climate control, heated seats, while driving. Poor phone key connectivity. It works about 20% of time for me, I regularly had to use key card or open app. Sometimes I can open trunk, but not door, or I can open door, but can't shift to drive. Red turn signals. I much prefer the amber in EU models. Reversing lines are not to the width of the car. Bring it to the Service Centre for diagnostic and repair under warranty. I had a creaking on accelerating and braking that was mended once suspension components were retorqued. The first car on the right is a black Jaguar F-Type? Looks surprisingly like a Model 3 at first. Less than 3 cm and far from glass edge, it can be repaired rather than replaced. Did you turn off Chill Mode? How come the BMW has the EU plate? European delivery? I have the same backpack. 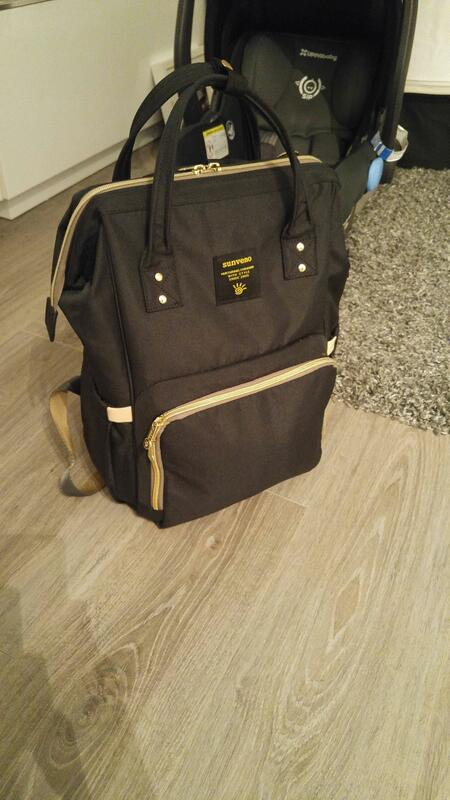 It's a maternity backpack with lots of pockets inside. This is a modified Model 3 with a front fascia from Unplugged Performance. I was fluent in Icelandic once, when I had a TIA. My usual is sigsig, lohanchai, beef steak tagalog, and lumpia shanghai. They are also known for their crispy pata. I want to say "stomach norma(l)". How do your curtains work? Pivot Mach 5.5 and Devinci Troy XT? North American version has the red turn signals. 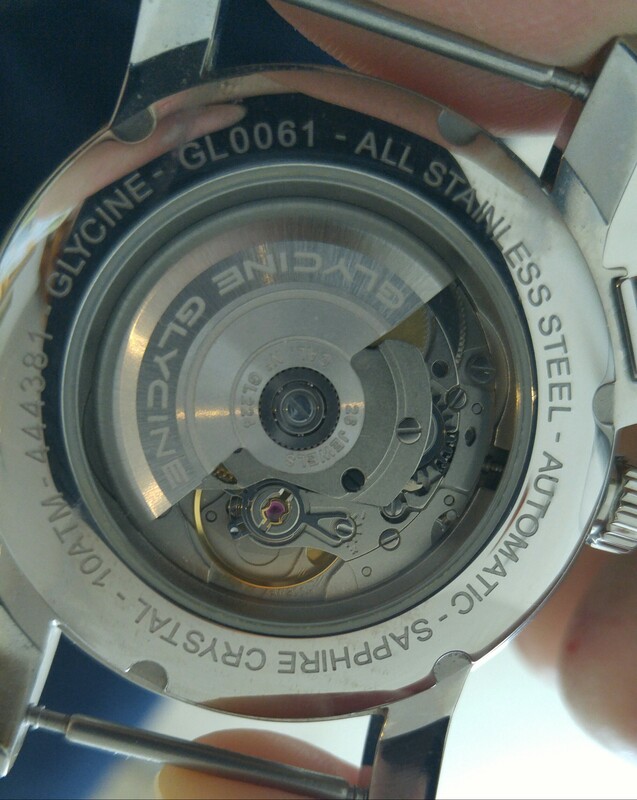 Mine is also a GL224, though below the balance wheel there's a marking showing SW 200-1. I'm sure there are soy-based analogues of shark fin. I've had convincing chicken, and beef analogues that were made by soy. I have the white face GL0061. Mine shows its a modified Sellita movement. Dual time zone and 10 ATM, it has been a robust travelling watch for me. Enjoy it well. I've had it once while travelling in China. Sharkfin is unlike beef/pork tendon. The texture is more similar to very soft crab meat, and on its own, it has no flavour. The flavour comes from the soup base. In healthcare, there is also "triage fatigue". In which the triage staff experience decreased empathy near the end of their shift, resulting in downgraded patient acuity level. "Oh, you call that a 10/10 pain? You look way too comfortable, to the back of the line you go!". To further save cost, just get a ready-made suit, then have it tailored. I find suits to be cheaper in Canada, and tailoring cheaper in Taiwan. If you're stopping over in South Korea, sits and tailoring are also inexpensive there. If you can wait for few more years, wait. There'll be more competition and choices later on (eg. Audi, Hyundai, Porsche, etc. ), not to mention advancements in EV technology, although incentive funds for the CEV Program might run out by then. If you want to get a Tesla now, the biggest issues I've experienced are inconsistent built quality, and Tesla having only one Service Centre at present for the entire BC, leading to long wait times and hit-and-miss service quality. Minor issues are 20% to 30% range reduction with cold battery, imperfect automaton with current software edition (eg. wiper speed, headlight brightness), and poor phone key Bluetooth connectivity (supposedly phone dependent). There are also very few Tesla Superchargers outside of BC and Ontario, so cross-country road trips are currently impracticable without going into the US. Overall, I think EV is great for Vancouver, considering our high gas prices and low hydro prices, and there are growing numbers of public charging stations. I love charging the car when I sleep, having less maintenance to worry about, and with the Tesla, quick acceleration that rival many respected sports cars. In my hospital, we're losing experienced staff as many become older and have kids, with them moving away from the city to upsize their home. The department is now mostly filled with newly graduated nurses, many of whom still live with parents or are renting. On some days, the most experienced nurse may have only worked for 4 years in the field.